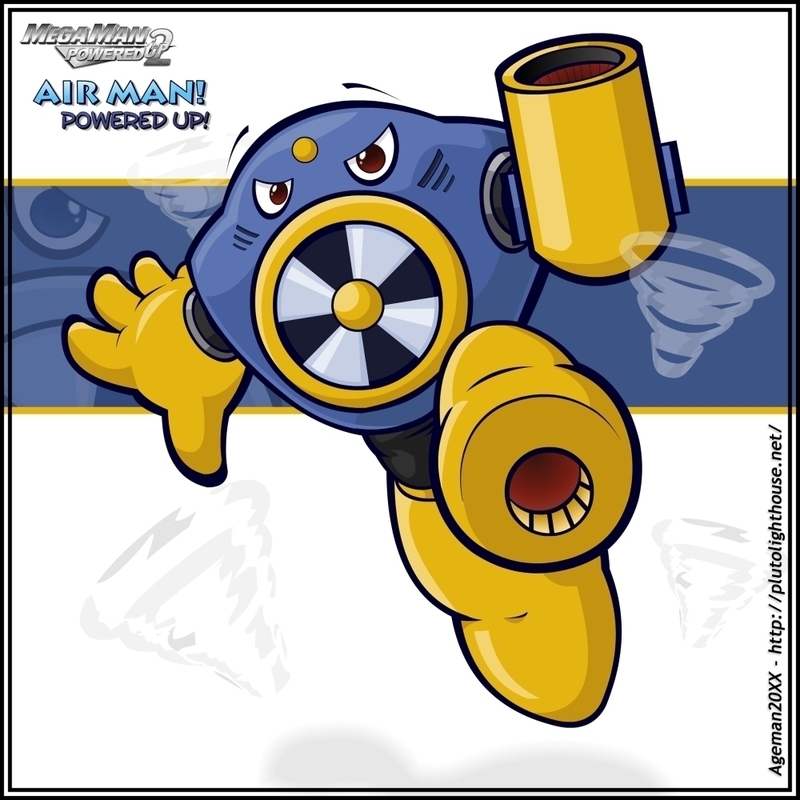 Title : AirMan : Powered Up! 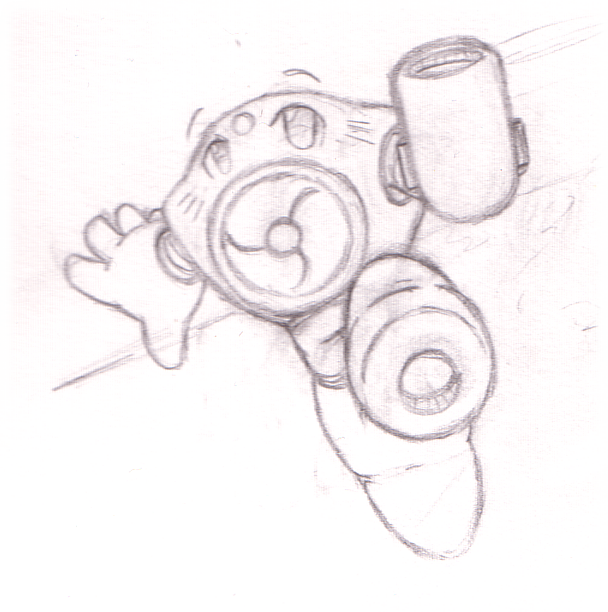 Continuing with the Trading Card Game artwork, I needed to make artwork for Air Man from MegaMan 2. 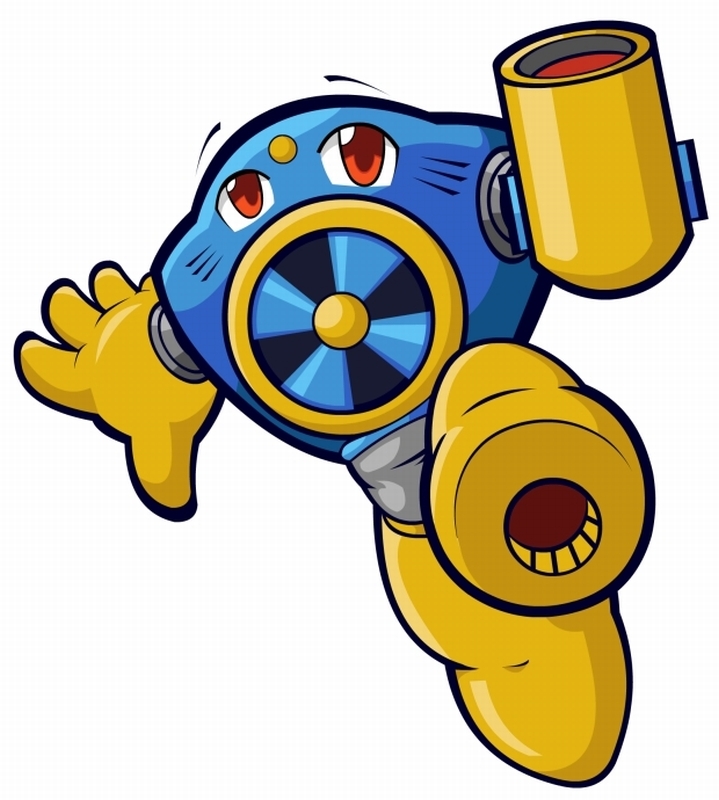 I think you can tell from the artwork's pose that I was struggling with understanding how to translate Air Man into Powered Up style while at the same time trying to figure out his anatomy and simultaneously trying to make a cool pose. As you can see he looks a little awkward. Lol. 2009/02/01 : I've decided to start refining some of my older Powered Ups - giving them backgrounds, adjusting shading/colour, redoing certain lineart, etc. AirMan was quite obviously one of them. AirMan is one of the the best upgrades in my opinion because it took a piece that was totally devoid of any resemblance to AirMan and made it totally rock. I changed his eyes, a few proportions, some linework, colouring, I added the correct air-vents, some twisters and a better head-shape. I personally think he totally rocks now. "Can't beat AirMan!" 2009/04/11 : As with the rest of the Powered Ups I have decided to get rid of the gradient background on this one and instead opting to use the more retro-feeling one used on the rest of the series of pieces. Other than that, however, nothing else has changed.